Navratri is celebrated in honor of Goddess Durga with loads of celebrations over ‘nine nights’. Some men and women all over India choose to fast for all the 9 days or just on the final day. Gujarat is the focus on the celebrations with all night long dances (garba) and festivities. 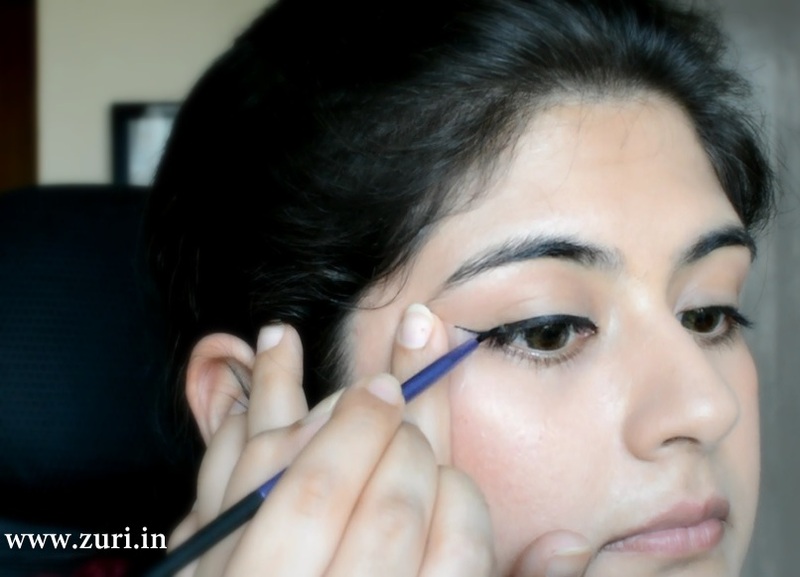 Here is a simple guide on how to apply makeup for this Navratri to help add a sparkle to your celebrations. 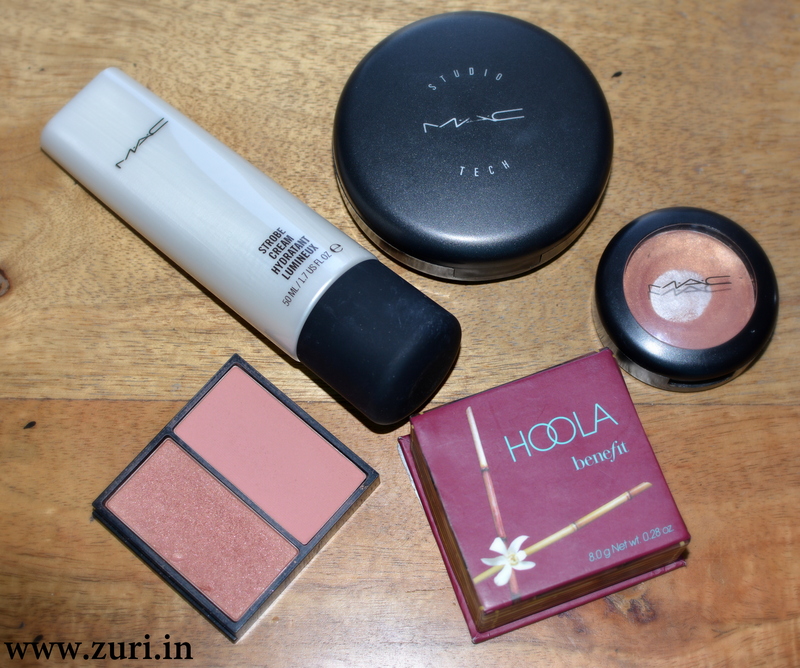 For my base, I applied MAC Strobe Cream all over the face for a natural sheen. Next, I used MAC Studio Tech foundation in NC30 and applied it evenly with the help of a sponge. Studio Tech is a versatile product that spreads like cream but then sets down to powder. Hence I did not feel the need to apply a loose/pressed powder over. 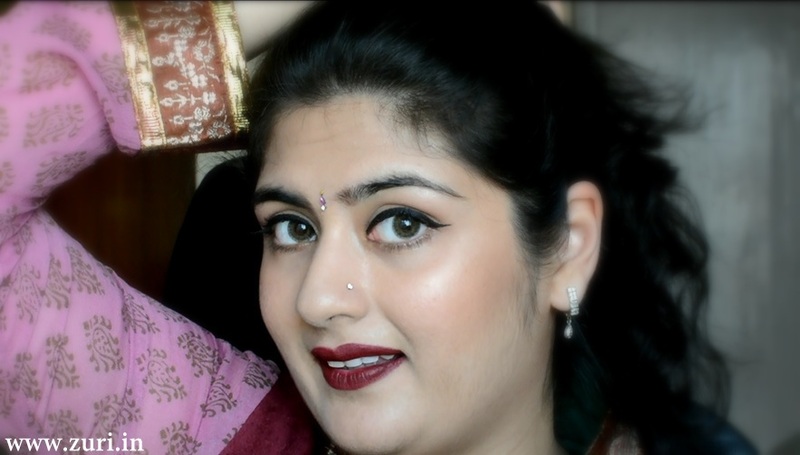 To help contour my cheeks, I used Hoola by Benefit and swept it all across the hollows of my cheeks and the chin area. For blush, I used the MAC Tartan Tale (Limited Edition) blush on the apples of the cheeks and highlighted my cheekbones with MAC Improper Copper for that natural glow! 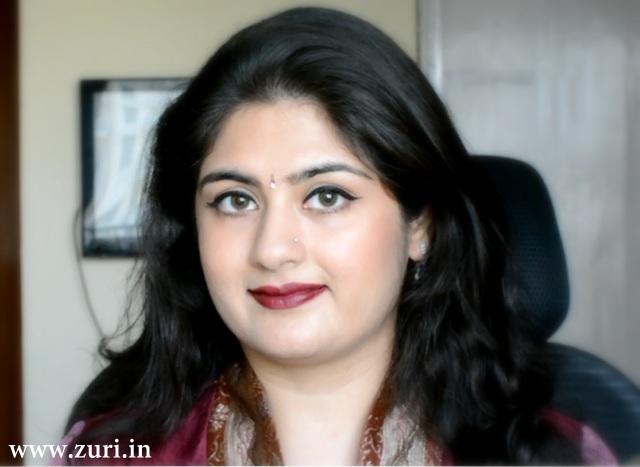 Step 1: There is no eye shadow or kajal used in this look. It’s purely about the eyeliner! So to get that perfect wing, I applied scotch step on either side of the eyes to help guide me with the wing. 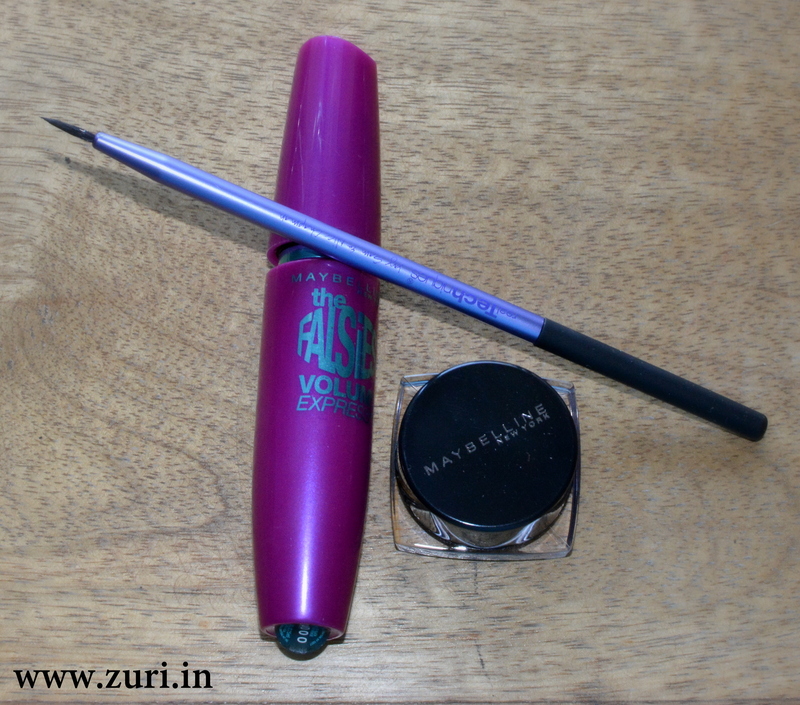 Step 2: With a thin eyeliner brush and Maybelline gel liner, I drew the flick first to help guide me later on. 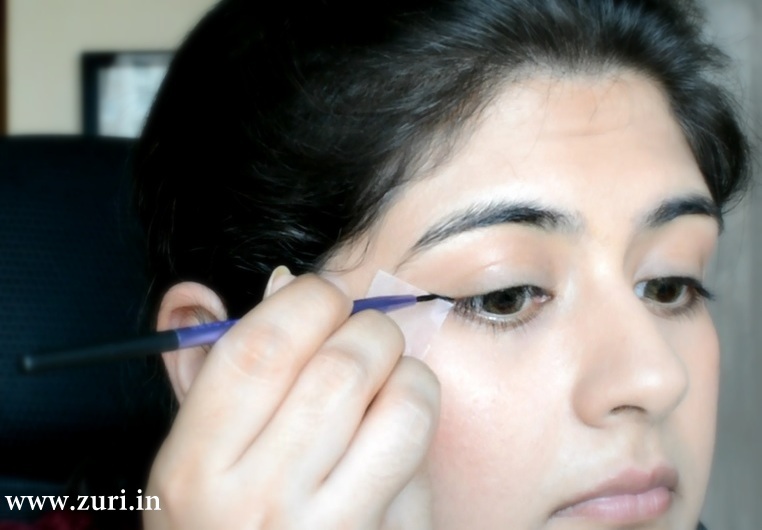 Step 3: Next, I filled in the liner throughout the upper lash line and connected it to the flick created earlier. I also connected the upper and lower outer corners with the liner. Step 4: It was time to curl lashes next. 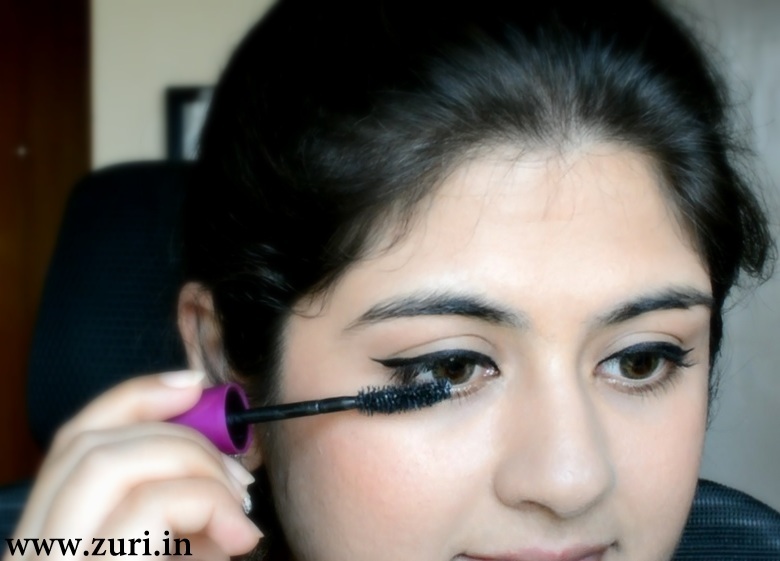 Step 5: And obviously the next step was to apply mascara on the upper lashes. 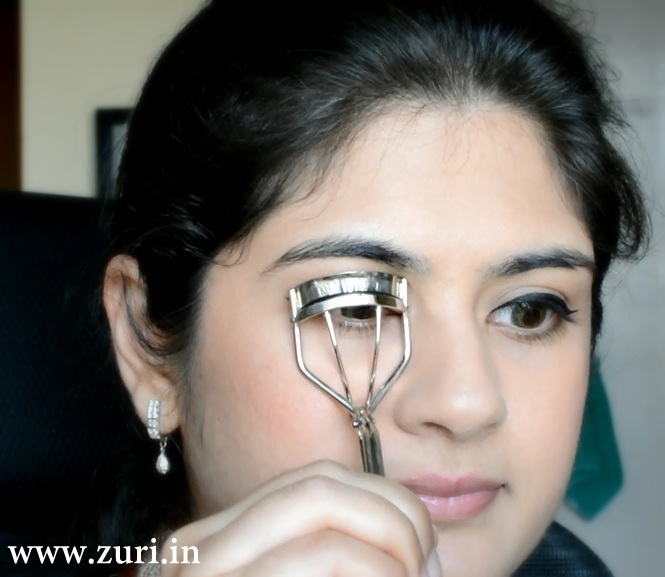 If you have scanty/thin lower lashes, you can apply mascara on the lower lashes too. Step 6: Moving on to the lips now! 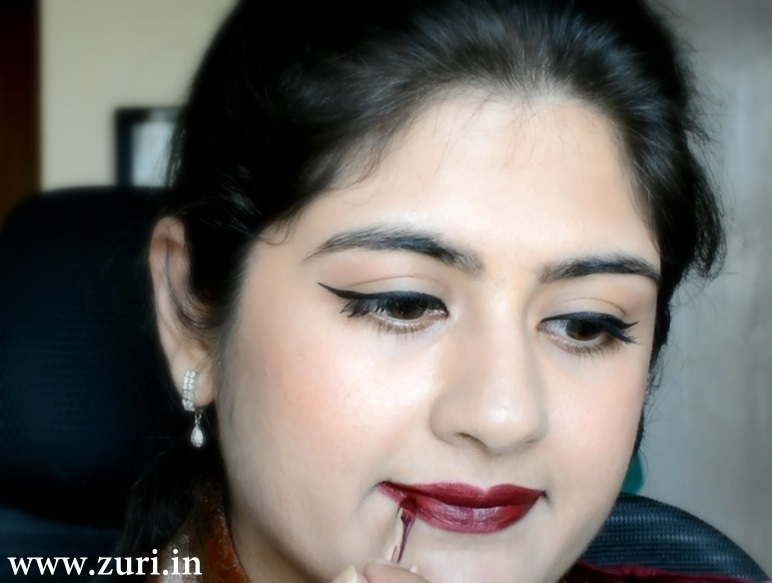 I used MAC Burgundy lip pencil to line my lips and filled into the lips with it too. Step 7: Finally as a lipstick I used MAC Diva and applied it with the help of a lip brush as it gave me much more precision in application. 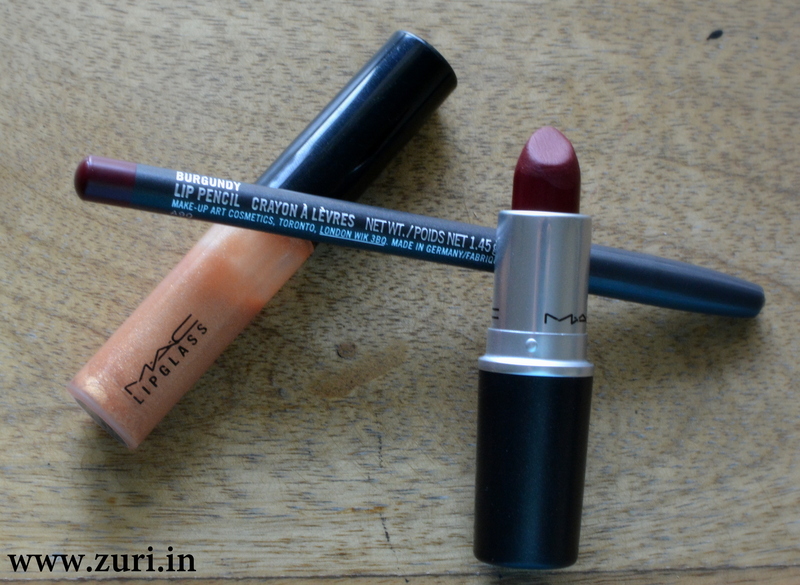 Since this lipstick is matte, I’d recommend that you use a lip balm before applying the lip pencil and lipstick as the lips might look dry and chapped otherwise. I have droopy eyelids so a thicker wing always makes it look like I have ‘horns’ on my eyes :-p I love the thin to thick style of winged liner generally, but each time I try it on myself, it tends to look really odd! 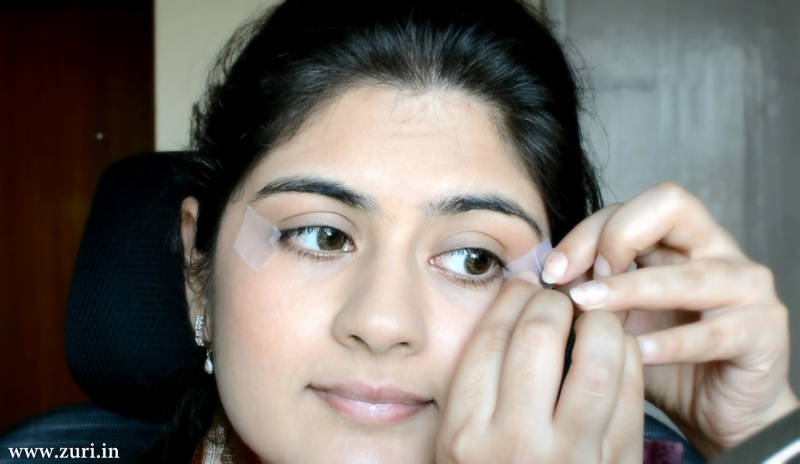 So if you have droopy eyelids like me, I’d suggest going for a thin line all over. But then you also learn a lot by experimenting! 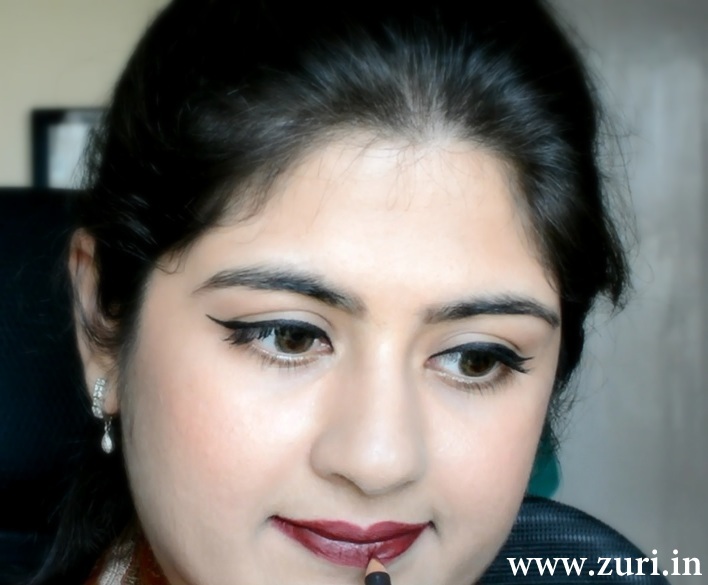 Let me know if your liked this look and if you also managed to try it! Lovely makeup tips. Quite handy & love the detailed steps given. Thanks.